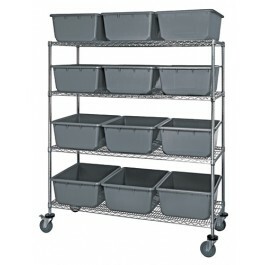 These Mobile Chrome Wire Shelving Systems are unique packages which provide a storage solution for large, bulky items. 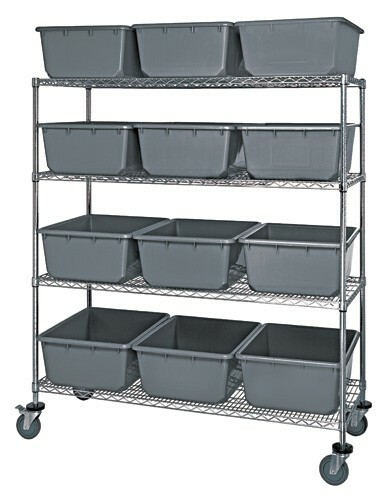 The heavy-duty tubs provide easy access to stored parts for assembly areas, picking stations, inventory control and bussing applications. 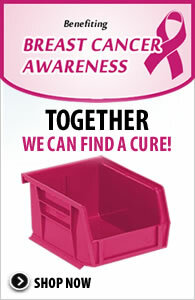 These strong durable totes provide a durable solution for many applications. 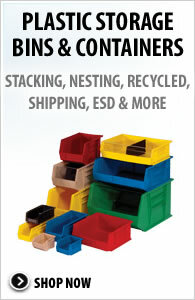 Containers available in Blue and Gray.